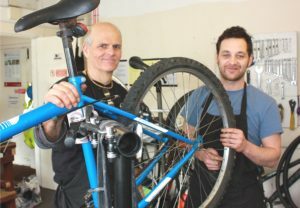 The running of the project is supported by our excellent volunteer mechanics – ideally people with experience of bicycle maintenance who have the capacity to support and mentor others. We also have an administrative volunteer who helps with web updates and the daily routine of the Bike Bank. Providing support and cover for the Lead Mechanic, if required.